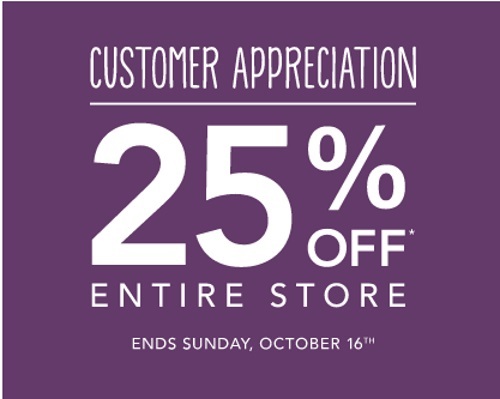 Roots has a Customer Appreciation Event on now! Save 25% off the entire store. We posted a 30% off yesterday, but in case you missed that, here is another chance to save! Free shipping applies on orders over $50. Offer is valid until Sunday, October 16, 2016 in-store and online.